Why have we chosen to be Fear Free? What does Compass do differently to be Fear Free? ​Our efforts at Fear Free began at the very beginning of our practice. We had the entire HVAC system rebuilt to better control odors, and to reduce noise. We’ve separated our boarding cats from our boarding dogs to limit stress. 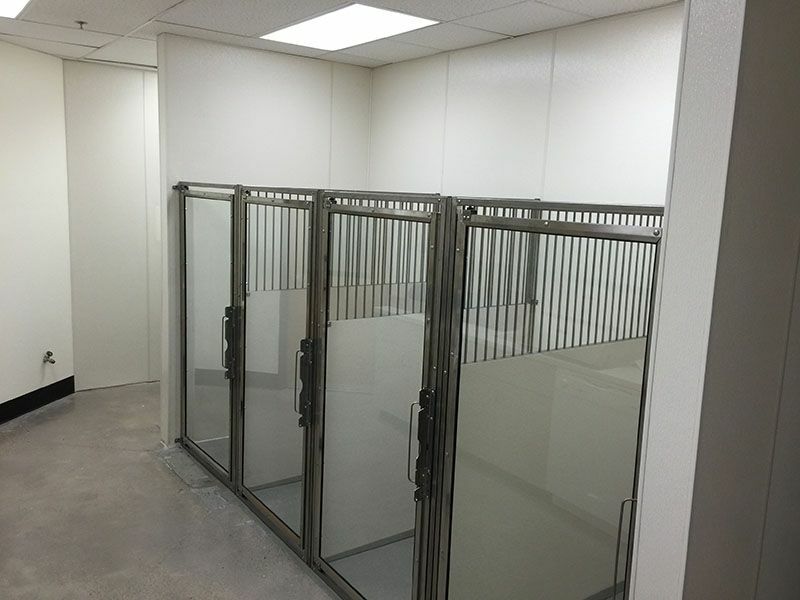 None of our kennels face one another, to reduce anxiety. We installed swinging doors wherever possible to prevent loud door slams. 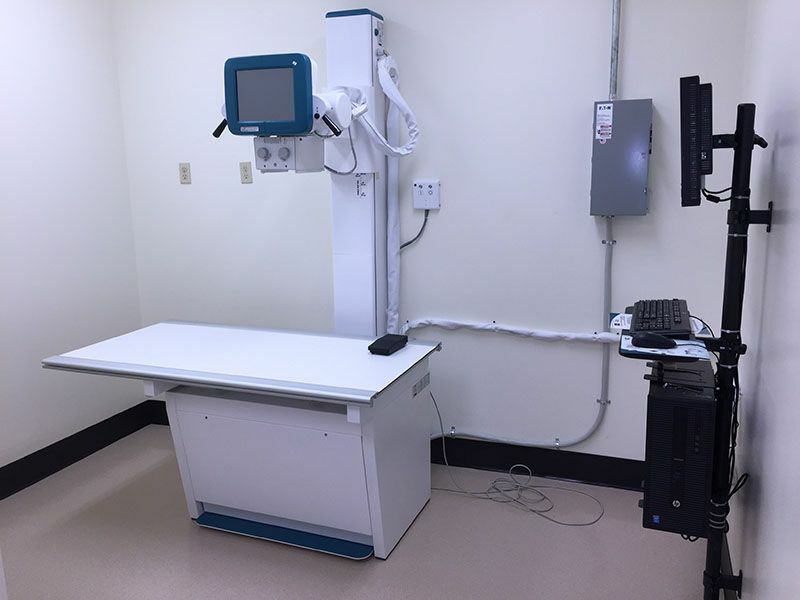 In the exam rooms, we have flip-up tables, though our veterinarians often like to examine pets on the floor. Dr. Connolly always makes sure to go that extra mile when it comes to your pet’s comfort. ​ "Most dogs aren't accustomed to being on tables. They're trained to stay off of tables and they feel more comfortable on the floor. If I can be at or below eye level to the dog, that makes them feel safer and I'm not challenging them." Our staff is conscious of the need for quiet, calm voices; gentle, flowing movements; careful and quiet closing of cage and room doors. We speak gently to our patients, and allow them to approach us. We may join them in exploring the exam room. Cats are permitted to remain in their carriers if they are happy there. We also use pheromones such as Feliway and Adaptil to help cats and dogs relax. Every pet is unique and has a unique personality. Dr. Connolly has a special gift at reading your pet's body language. "I don't approach them at all, I let them approach me. If they're really terrified, I turn my back on them and sit down. I let them check me out. I like to examine pets from behind, so I'm not blocking their instinctive path of escape. I like to have the owner there. If they stay calm and relaxed, their pet will stay calm and relaxed. Sometimes, I examine the pet in the owner's lap." 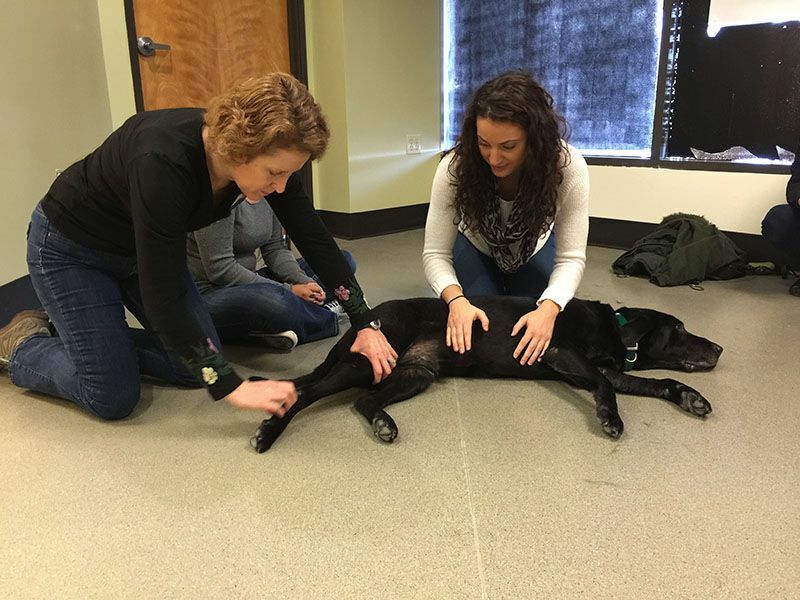 What can you do to help your pet have a great visit to Compass? ​ We love to have pets brought in hungry – we can give lots of treats! Unless we recommend otherwise, try not to feed your pet for several hours prior to your visit. We try to distract your pet, either with treats or petting, while vaccinations are given. Plan frequent visits to our veterinary practice just for fun, especially if your pet is fearful. It’s best for you to visit during a quiet part of the day, such as mid-afternoons. Call our practice and check to see if it’s a good, relaxing time so your pet enjoys a calm experience and the veterinary team can focus on you and your pet. We schedule appointments so that we can minimize time in the waiting room. Keep it fun. 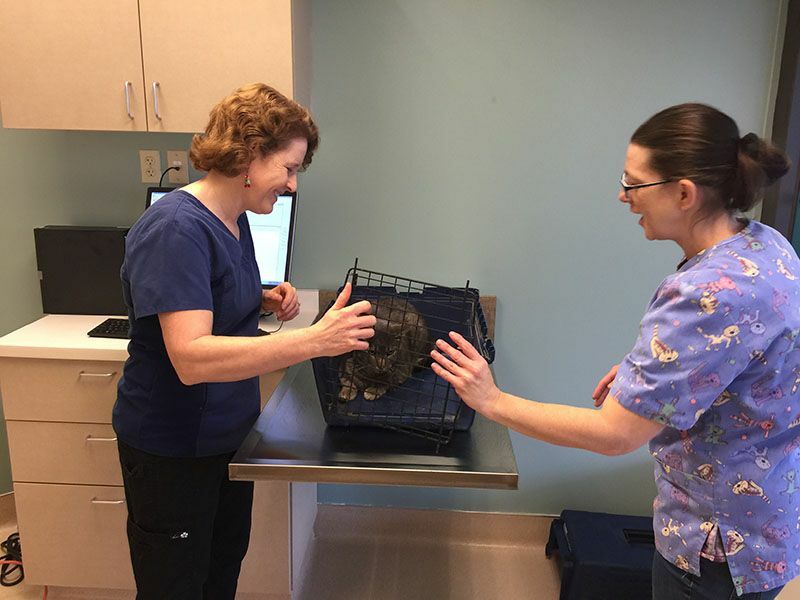 Plan your practice visits in low-stress situations before your pet needs care by visiting our parking lot, lobby and exam room so they’re familiar places. Use play and trick training to make the experience full of pleasurable activities. Your pet will learn to associate good things with the veterinary hospital. Rather than being afraid, they learn to relax. If you have a truly anxious pet, and we cannot accomplish what we need to, we do offer sedation. We do not want to overwhelm your pet, we want them to be happy and relaxed here at Compass Veterinary Clinic. 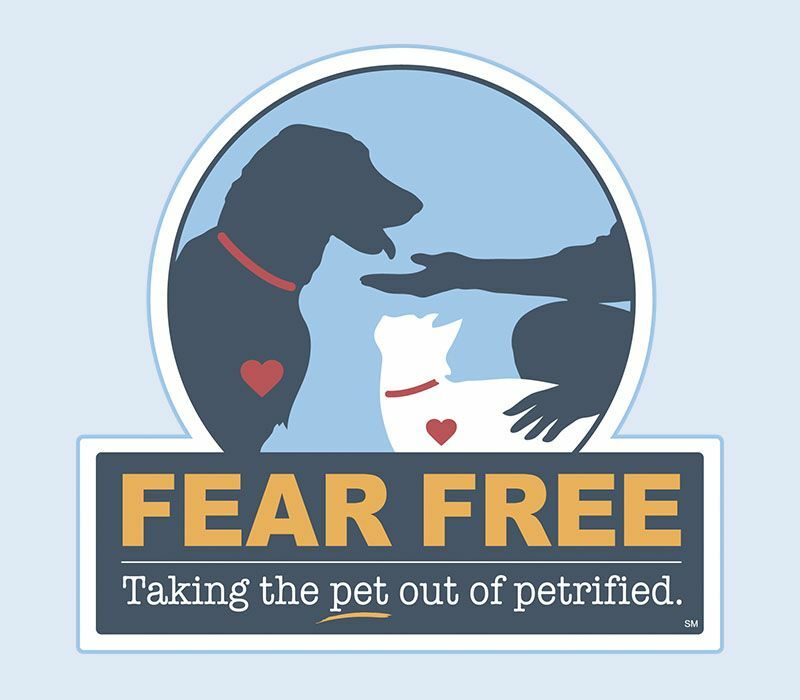 For those whose pets are truly terrified, we can also send home anti-anxiety medication to be given before the visit. Most of all, talk to us. We’re here to help. 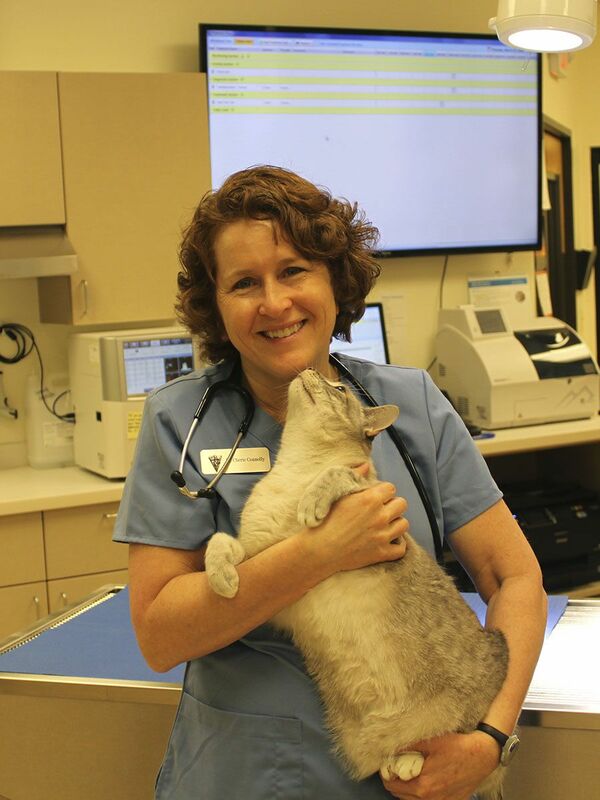 Our veterinary team looks forward to working with you to create a better visit with your dog or cat. If you need extra help to prepare for a visit, please call us and we can offer guidance to make visits relaxing and fun. 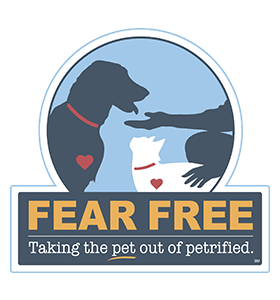 Compass Veterinary Clinic is proud to certified Fear Free veterinary services for animals and owners in Lake Oswego, Oak Grove, Metzger, Shadowood, Portland, Milwaukie, Durham, Tualatin, Wilsonville, Norwood, Stafford, West Linn, Beaverton and the surrounding areas.